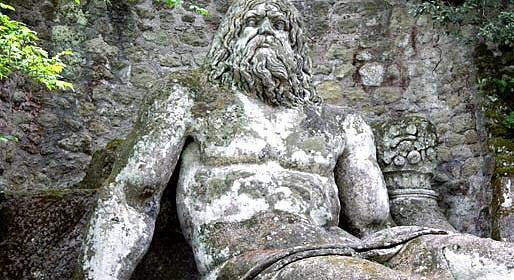 Inhabited since the times of the Etruscans, who called it Velzna, during the Roman era Bolsena was renamed Volsinii. 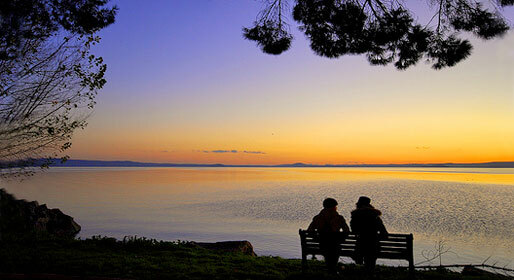 Both Etruscans and Romans had immediately recognised the town's idyllic position: sheltered by the Volsini Mountains and facing on to the north east shores of the lake to which Bolsena later lent its name and which today attracts water-sports enthusiasts from far and wide. 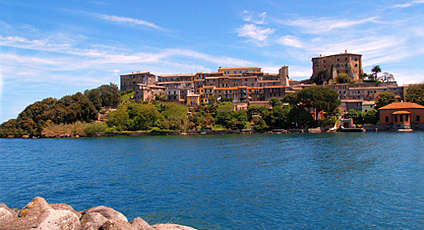 Today the town appears much like it did in Medieval times, when Bolsena acquired immense religious importance thanks to the occurrence of the Eucharistic miracle. Legend has it that whilst Peter of Prague, a bohemian priest somewhat sceptical about the host and wine being the true body and blood of Christ, was celebrating mass on the alter consecrated by the Martyr Saint Cristina, the wine indeed turned to blood. Drops of blood dripped on to the marble, marble still venerated to this very day. The site of the miracle, the Romanesque Collegiate Church of Santa Cristina, soon became the destination of pilgrimage and, in the 17th century, the Baroque Chapel of the Miracle was added. The miracle is commemorated every Corpus Domini Sunday, when some 3kms of flower tapestries are laid out along the route of the procession.